VARS BRNO a.s. was awarded the contract from Český Aeroholding, a.s. with the objective of planning repairs and maintenance of airport areas (take-off and landing runways, etc.) based on the analysis of their conditions. Currently, the first stage of the contract is in progress with the goal to implement a system recording defects (including their repairs) and inspections of the airport area. The supply also includes pilot testing of the diagnostics of airport runways by a multifunctional diagnostic vehicle, realized in the framework of an innovation project supported by the EU. As part of this project focused on road assets management, a comprehensive modular solution, CleveRA, is being developed. "I am extremely pleased that we have become suppliers for the solution of the management of the airport area, in particular, because the airports, after the roads network, are the largest clients of similar systems. For me, it is a confirmation of the fact that our products comply with the needs of users and provide them with a prospect for wider use of the entire platform CleveRA. The realization of the contract will involve the application of the latest technologies, which we also build into the framework of the innovation project funded by the EU”, says Ing. Tomáš Miniberger, Chief Executive Officer of the company VARS BRNO. The transfer and routine inclusion of the system into the management process of the airport area will take place in the second half of the year 2014, along with the implementation of the user and technical support systems and the development of the system over the following three years. DIKOS, a subsystem of the solution CleveRA, is an optimal solution for the first stage. For the comprehensive management of the process of routine maintenance of the road network, the monitoring-control system DIKOS was developed. 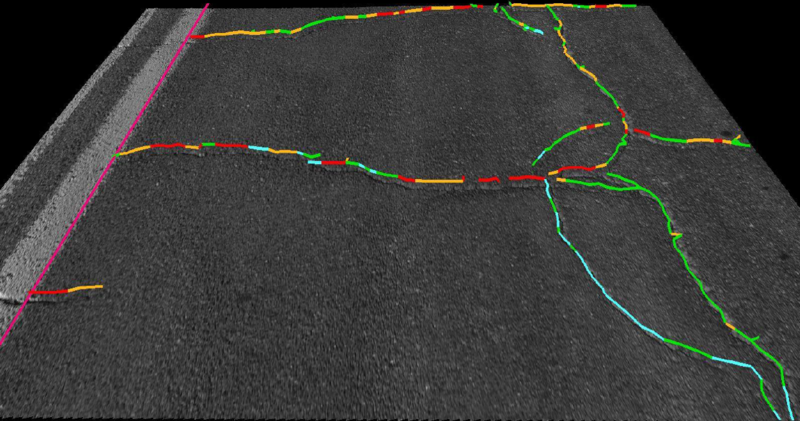 Its objective is to manage and record all data related to road defects. However, it is not only about the passive collection of information: the entire system is a dynamic, multiuser interface with possible interactive inputs and data editing. Identified defects are usually recorded using a mobile client, which serves for field work and uses, inter alia, GPS to locate these defects. From here, data are automatically sent to central storage. Subsequently, the acquired data are evaluated in the office by the website application, and the adequate procedure for removal of these defects is proposed. "When designing the application, great emphasis has been put onto the method of work of future users. The aim was primarily to provide simple and guided usage of the application. During road inspections and recording of defects, inspectors have to proceed very quickly for the sake of safety. This attribute of the application is especially necessary at airports", explains Project Manager, Ing. Kateřina Meduňová. The subsystem DIKOS is part of the modular solution CleveRA, and obviously it also works with the records of assets, the so-called “Passport", which is an expert system for the management of roads and other registers of the administrator of assets. The recorded data involve, for example, all performed interventions and related documentation (identification of defects, method of their removal, warranty periods), including information on relevant persons in charge of the maintenance procedure at individual sections of the infrastructure. This enables, for example, the comparison of identified defects with warranty periods and ensures in-time complaint claims, which is one of the key features required for the planning and allocation of available funds in the framework of maintenance and repair of the infrastructure. DIKOS is successfully utilized for the management of road assets at all first class roads and in many regions. Due to its successful usage in this field, it was chosen for implementation at the airport area. “Although realization of the contract will require taking into account the specificities of the airport area and customizing the application to meet its needs, the current form of the application is a good foundation. This fact is also proven by the successful operation of DIKOS at the national and regional levels", explains Project Manager, Ing. Kateřina Meduňová. The main runway at the Václav Havel airport has undergone general reconstruction, which was completed in September of last year. The main reason for this work lay in the continuously growing time and financial demands on its maintenance caused by the relatively long-term usage and old age of the surface. Needless to say, such a surface is exposed to intense wear, and it is essential to maintain it in perfect condition to ensure the safety of the air traffic. The thus-far implemented system of maintenance planning will be modified to minimize time and financial requirements thanks to the early detection of defects. The airport railway will be periodically subjected to thorough analysis, the results of which will be the basis for further planning of repairs and maintenance, which will be both less financially demanding and less time consuming.